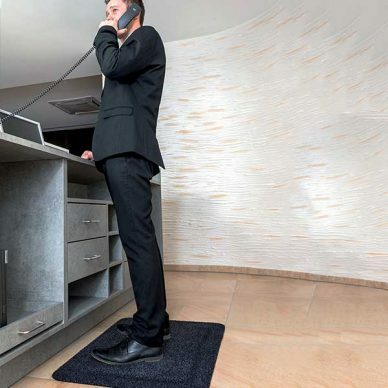 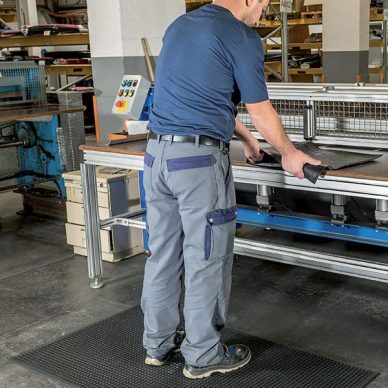 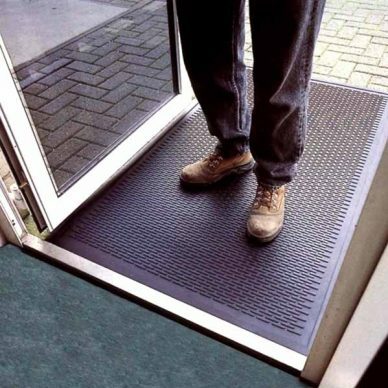 The ideal cushioned anti-fatigue mat for the workplace, perfect for long standing comfort at workstations and counters, with a stylish soft nylon surface that provides extra comfort under foot. 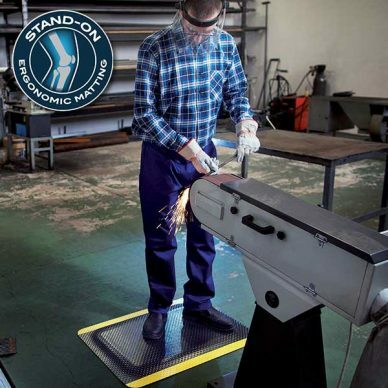 Anti-fatigue safety mat designed with bright yellow borders to draw the eyes attention and increase awareness of danger in the workplace. 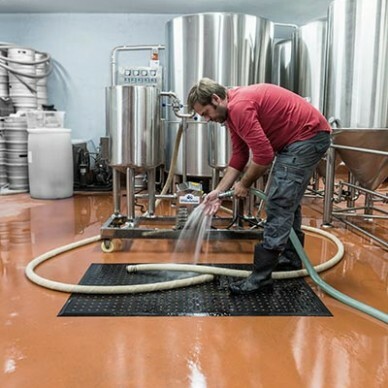 For professional Kitchen use and wet area workstations.